President Hage Geingob will host Kenyan President Uhuru Kenyatta as a guest of honour at the 29th celebration of Namibia’s Independence. 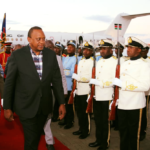 President Kenya arrived in Namibia earlier today and his official state visit follows on the state visit of President Geingob to the Republic of Kenya during October last year. During the visit Dr. Geingob was the guest of honour at the Mashujaa Day Celebrations (Heroes Day) in Kakamega County. Relations between Namibia and Kenya date back to the struggle for freedom and independence when Kenya provided political and moral support to the people of Namibia through SWAPO. Kenya provided training to many Namibians in exile in the fields of education, health, agriculture and defence. The Republic of Kenya was one of the African countries that contributed troops to the United Nations Transitional Assistance Group (UNTAG) to monitor and guarantee security to the United Nations led electoral process in Namibia in 1989. In the process of establishing the Namibian Defence Force, the Kenyan contingent under the leadership of General Daniel Opande, the former Deputy Force Commander of UNTAG’s military component, offered training to the Namibian Defence Force (NDF). Besides training, the Kenyan contingent also provided logistical support to the NDF in the form of uniforms and other items. The imprint of the Kenyan assistance is still visible in the ceremonial dress of the NDF’s Guard of Honour Unit. Namibia and Kenya enjoy excellent bilateral relations which started in 1990 when the two countries established diplomatic relations. During President Kenyatta’s visit, the two leaders are expected to discuss bilateral relations and deepen cooperation in the areas of transport; fisheries and marine resources; trade and commerce; information communication technology; agriculture; health; defence and security; mining and education. There have been a number of high level visits between the two countries. The most recent visit includes the official working visit to Nairobi by Prime Minister Saara Kuungongelwa–Amadhila, who attended the Blue Economy Conference from 26-28 November 2018. 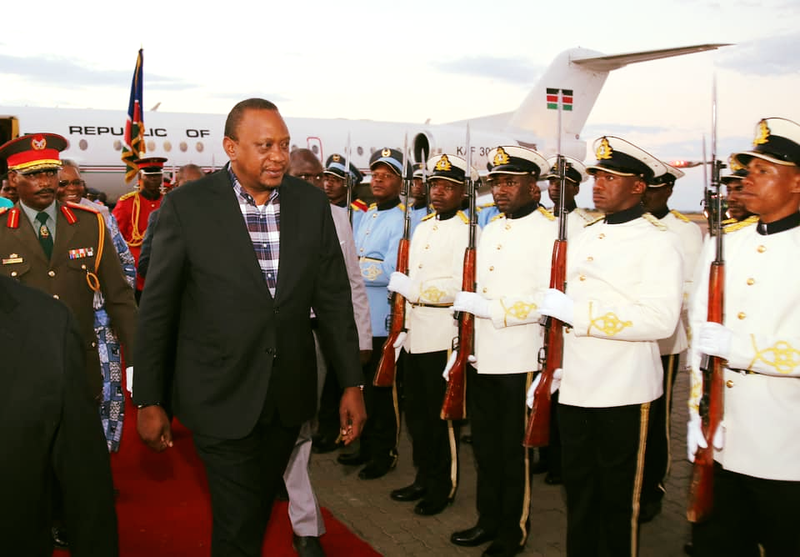 President Kenyatta is scheduled to depart Namibia on Sunday.